What are you searching for in an over 55 community near Tampa, Florida? Lots of amenities within the community? Convenient location near activities for the grandkids? Easy access to an airport, or maybe even a sea port for cruise vacations? At StrawBerry Ridge, we offer all of these things and more, and we make them truly affordable. Our homes are updated and beautiful, our facilities are second to none, and the surrounding area is teeming with activities suitable to satisfy all age groups. Plus, we’re just minutes from major air and sea ports. You couldn’t ask for a better location in which to spend your retirement years. Plus, our over 55 community has a seemingly endless array of social activities, like potluck suppers, bingo, dances, and exercise classes. We even have special interest clubs that gather frequently. And all of that happens with the community itself. Once you leave the community gates, you’ll find it’s just a short drive to Disney World, and closer to home, you’ll find museums and aquariums abound, plus an amazing assortment of world-class restaurants, entertainment venues, beaches, and much more. Contact our over 55 community today to learn more about what StrawBerry Ridge has to offer. 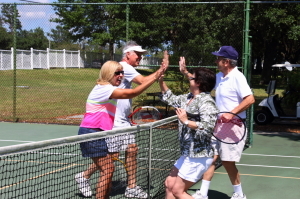 Discover for yourself why so many have chosen our community near Tampa, FL, as a place to call home during retirement, only to discover that it’s not just a place to live … it’s a lifestyle.